Docker is an application that makes it simple and easy to run application processes in a container, which are like virtual machines, only more portable, more resource-friendly, and more dependent on the host operating system. 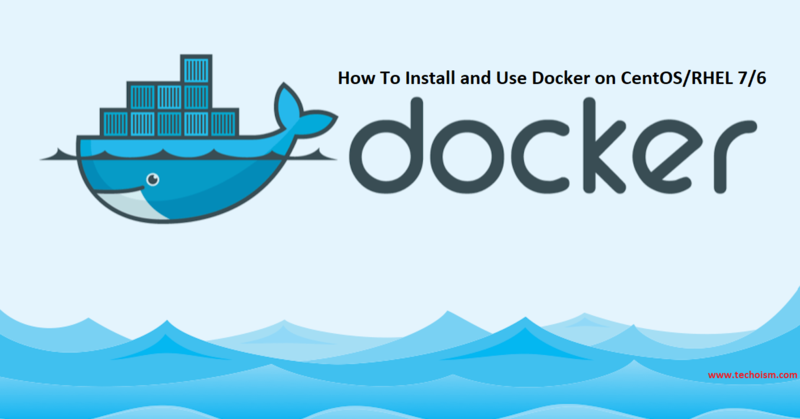 This tutorial helps us to install Docker on CentOS/RHEL 7/6. Now that the Docker repository is enabled and install the latest version of Docker CE using the following command. Run mention command to check the docker version. Now, you can check some docker info using mention command. 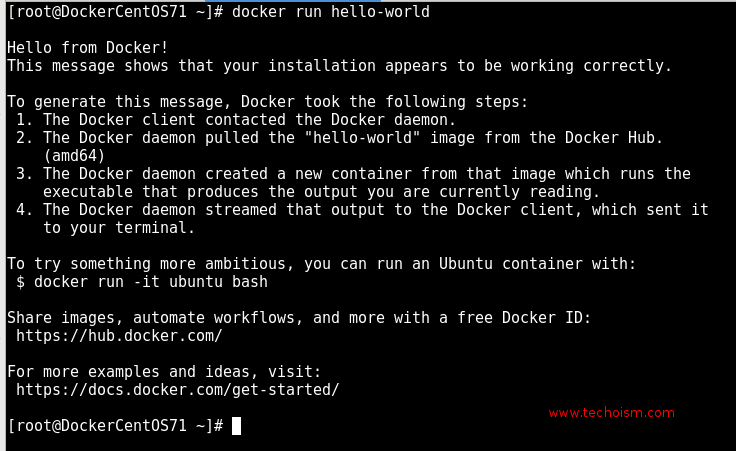 Run the Docker hello-world container to test if the installation completed successfully.